Independence Referendum and Debate –S4 and S5 pupils were involved recently in a discussion and debate about the pros, cons and uncertainties of Independence. Organised by Ms Velt, the pupils heard from outside speakers from both sides in the morning and debated amongst themselves in the afternoon. The pupils, many eligible to take part in the referendum, after a spirited and well-argued debate voted for independence. Inspire – Aspire – Eilidh MacDonald and Iain Nelson were invited to attend the University of Glasgow on 16th June to each be presented with a silver medal and certificate for work they produced in school under the guidance of Dr Caley. All S2 pupils had to discuss and illustrate why and how a particular individual had inspired them. Five were sent to the organisers and two chosen as winners. Well done Eilidh and Iain! The work submitted can be seen on the school’s Facebook page by clicking here. Graduation – Miss MacAllister graduated from Dundee University on June 20th 2014 with a Diploma in Spanish. The necessary study and work was completed in her own time at weekends and during holidays. Miss MacAllister is currently qualified to teach German and French but has been developing her skills in Spanish for several years. Well done! Visit to Ullapool Harbour – Mr Gorman took his Engineering Science class to Ullapool recently to look at the construction of the harbour extension. 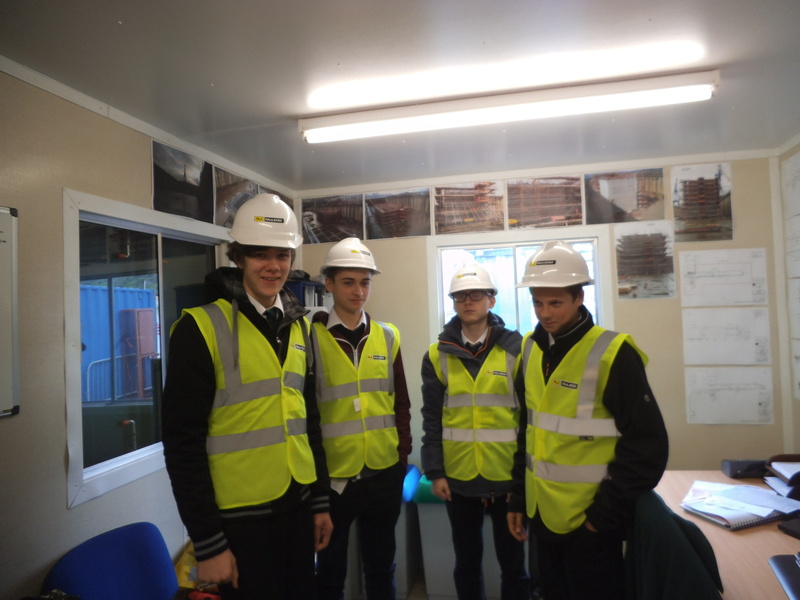 The class got a tour of the site and found out how the various sub-contractors work together to complete the project. Thanks to Angela Rae our STEM ambassador from RJ McLeod for organising the visit. 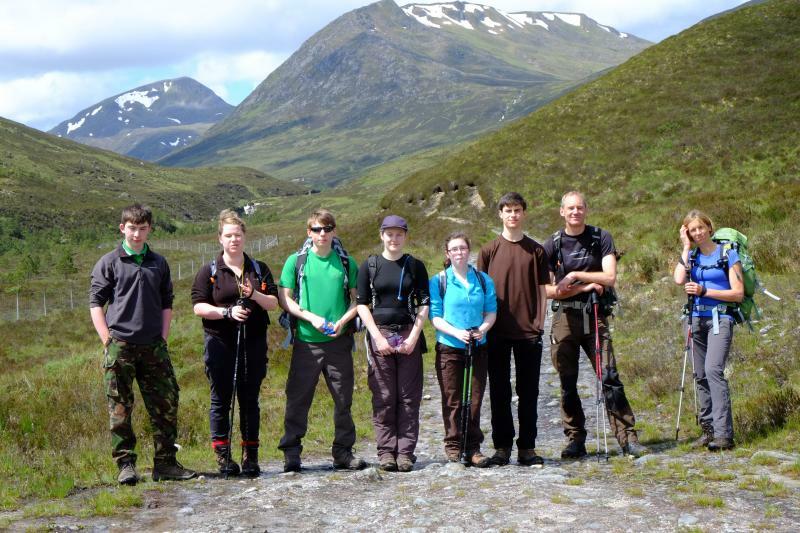 You can read Jack McCruden’s report of the trip on the pupil pages by clicking here. 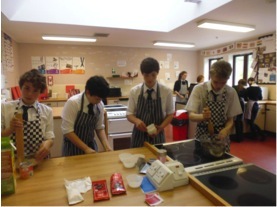 Ready Steady Cook – The new S3 Hospitality Group had a challenge on Friday 6th June. 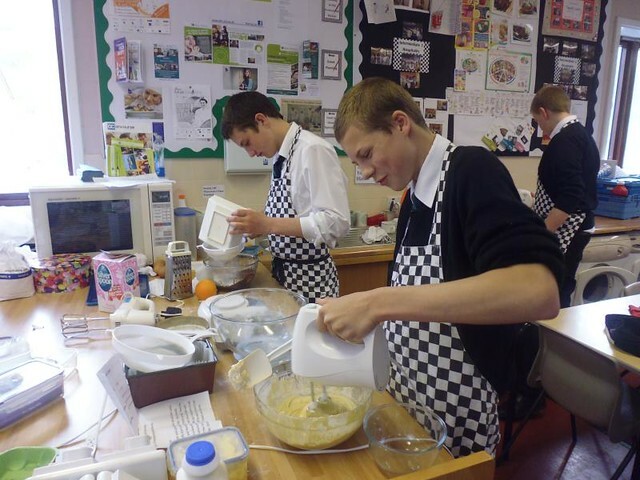 Each pupil had to bring in one ingredient of their choice, and then work in groups to incorporate their ingredient into a dish. The groups worked well together, taking on the roles of Head Chef, Sous Chef, Kitchen Manager and Kitchen Porter and the results were a very mixed bag of dishes! The panel decided Caitlin’s group as the winners with Ian’s group coming a close second and Jasmine’s group 3rd. Details and photos on the website! Lab in a Lorry – This interactive mobile science lab staffed by practising scientists and engineers visited the school and allowed our pupils to take part in experiments and discussion throughout the day. The project is a joint initiative between the Institute of Physics and the Schlumberger Foundation. Comenius Evening – On Tuesday 17th June pupils involved in trips this year to Portugal, Poland and Greece gave presentations of their experiences. 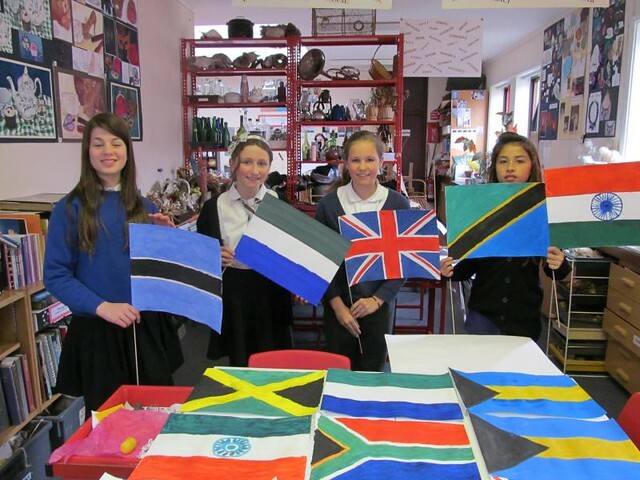 Afterwards parents, staff and guests joined pupils to sample foods from each country. Sports Day – Staff and pupils had an enjoyable day on Thursday 19th June. Weather was perfect and everyone present participated in 5 events either for Championship points or House Points. The results will be posted in the next issue of the G&DT and on the website which also has lots of photos. Naidheachdan Gàidhlig / Gaelic News – As t-earrach, ghabh cuid de sgoilearan pàirt ann an co-fharpaisean labhairt Comann Gàidhlig Lunnainn. Bhuannaich Ceitidh Alice Hulme co-fharpais nam fileantach agus fhuair Callum MacCoinnich teisteanas airson cho adhartach ’s a bha a chòmhradh. Ann an co-fharpaisean nan luchd-ionnsachaidh, chaidh còmhradh Sheumais MhicIll-Eeathain a mholadh gu mòr. In the spring, several pupils were entered into the Gaelic Society of London’s annual speaking competition. Ceitidh Alice Hulme won the Fluent Speakers’ competition and Callum MacKenzie gained a merit. In the Learners’ competition, Jamie MacLean gained a merit. Bho chionn ghoirid, rinn Dòmhnall S. Moireach, ùghdar cliùiteach, bùth-obrach ann an sgrìobhadh cruthachail airson fileantaich anns a’ chiad agus anns an dàrna bliadhna. Chaidh stiùireadh feumail a thoirt dha na sgoilearan a thaobh mar a bhios iad a’ leasachadh nan sgilean sgrìobhaidh aca. Donald S. Murray, a famous author, recently led a workshop in creative writing for fluent speakers in S1 and S2. Pupils gained valuable advice on how to develop their short-story writing. Entry to university or college 2015 – The UCAS website is the best place for parents and guardians to get the support they need – http://www.ucas.com/parents. There is information to guide you through the different stages of the application process. Parents may have many questions and the four top ones appear to be about the application process, UCAS deadlines, student finance and Clearing. All these are covered on www.ucas.com. Any potential applicant to HE courses in the UK should be thinking about: Which career? Which subject? Which course? We will be visiting Glasgow University Open Day in early September, but the onus is on each pupil to visit other university and college open days and get a feel for each place. We also encourage any pupil going into S5 in August to start doing research now to make themselves aware of their options. Important Dates – Prizegiving takes place between 1.30 and 3.30pm on Tuesday 1st July in the school hall. Results in the next edition of School news. On Thursday 3rd July we will host our annual football competition. School will close at 1.30pm on Thursday 3rd July. 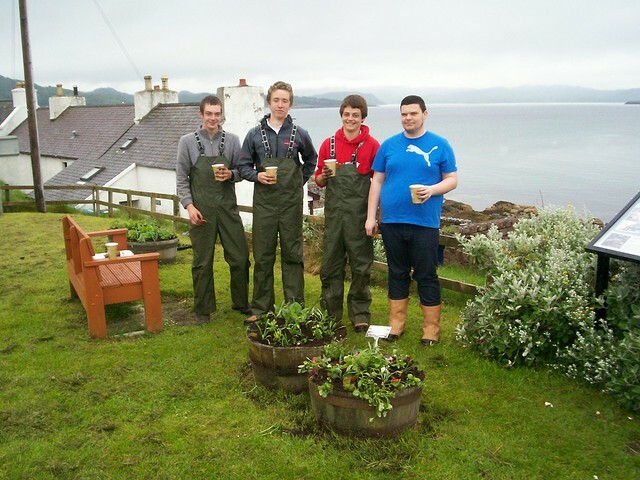 Community Flower Displays – The Rural Skills group have now planted up the 20 Community tubs around the village with a mixture of 12 annual plants. Last stop was Strath Square where Neil Brady kindly gave the boys a well-deserved cup of tea and biscuits. The plants were ordered on line before Easter and the boys have lovingly grown them on to a stage where they are large enough to take their chances. We will continue to feed the tubs and hope they are a success. Comenius Trip to Greece – As half of our 2 year Comenius project draws to a close, pupils and staff headed off in May to sunny Greece. 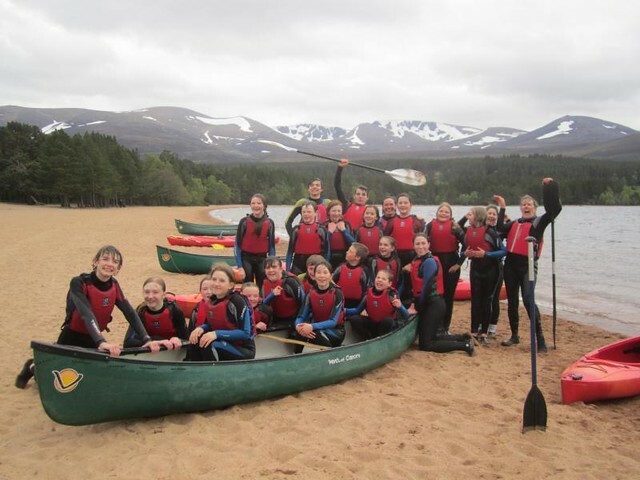 Pupils involved were Leonie Baptist, Hannah Wood and Eilidh MacDonald. Staff accompanying them were Ms. Hunter and Ms. Velt. After a lovely day sightseeing in Athens, they travelled north to the seaport of Volos, where our fellow Comenius school is situated. All the other countries’ pupils and staff were reunited – from Finland, Poland, Portugal, Latvia, Turkey and Spain. The lovely weather was obviously a bonus, but the excursions and activities were all very interesting and informative. They visited a mediaeval town overlooking Volos, as well as climbing high up into the mountains (by bus!) to visit the monasteries perched precariously at the top of the peaks. Ancient Greek archaeology was explored in their visit to the local museum, where pupils were given the chance to make little replica Greek urns. Our pupils were welcomed by amazing host families, and they were able to experience Greek home life, as well as the wonderful Greek food on offer. On the way back to Scotland, they again spent the day and another night in Athens, visiting the famous Acropolis and Parthenon, as well as the new Acropolis Museum, designed to “float” over ancient archaeology discovered beneath the ground. A wonderful week was had by all; the next trip is in September to Turkey. Comenius Evening – This takes place on Tuesday 17th June, in the multipurpose hall, at 7pm. This is the community’s chance to see presentations from our visits to Portugal, Poland and Greece. Refreshments, themed from these countries, will be available, as well as displays of our souvenirs from each of the countries. We are also holding a raffle (for which donations would be most gratefully received!) as we have to do a lot of fundraising to ensure that as many children as possible can go on the trips next year. Your attendance at the evening will be most welcome! 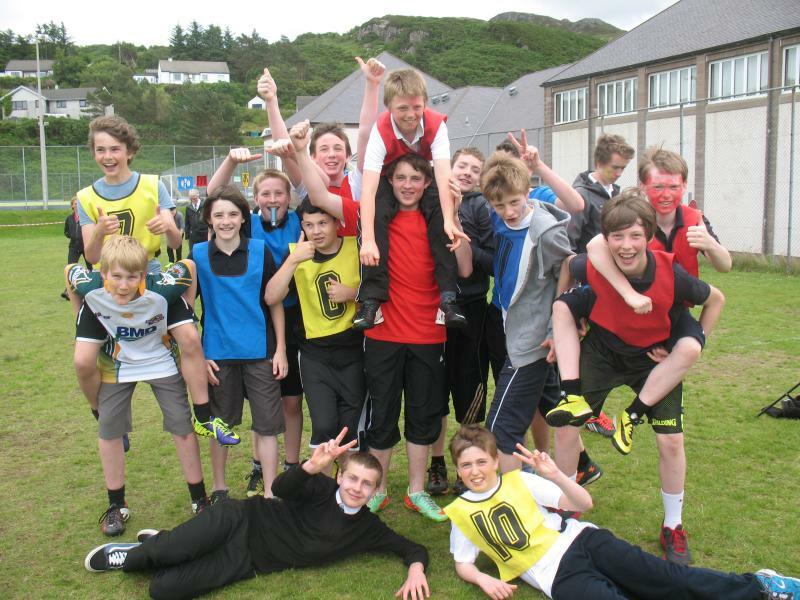 Gairloch v Plockton 2014 – As reported in last issue the second leg of the MacPherson Cup was held in Gairloch on Friday the 23rd of May. Click here for the full report. The football team is in need of a new set of strips. 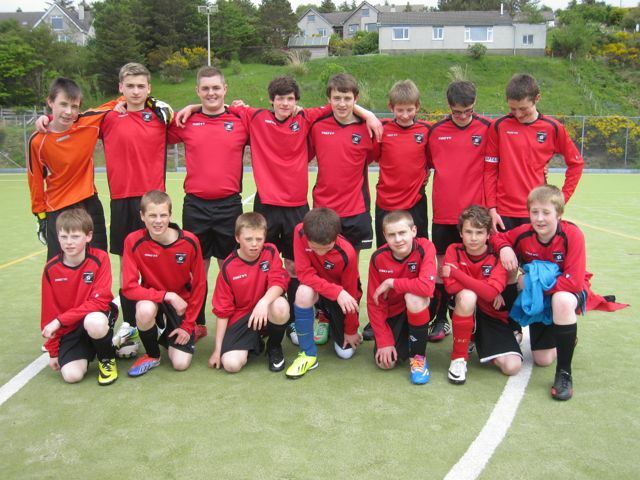 We hope to take part in the Highland Small Schools’ tournament as well as playing some friendlies next session. It may be that a local business would like to sponsor the team. This would enable us to purchase a new set of strips. Please contact the school if you can help us. Staff Retirement – Our Active School Coordinator (ASC) Dr John Shearer has retired. Since taking over as ASC John has run the lunchtime inter-house activities, transported pupils to events and helped fund and organise some coaching courses. John is also responsible for getting basketball started in the primary schools, which has led to some of our pupils having the opportunity to play at the highest level including National. John has worked at the school on and off for many years as a Maths teacher, supply cover and even Home Economics! When we lost our last HE teacher, he developed a Lifeskills course that included welding and eventually some cooking! As ASC he has made a valuable contribution in supporting transition for the P7 pupils over the last few years. It goes beyond this though and last week’s ASG Sports Event on the field was indicative of his hard work. It was a great event blessed by lovely weather. Staff recognised John’s effort with a presentation and we all wish him well for the future. Primary 7 visit – The Primary 7 pupils completed the second of their transition visits to the High School on the 6th June. For two days they followed the timetable that they will become familiar with after the summer. Pupils were also presented with their Gairloch High School ties.